Can We Still Believe in the Rapture? : Can We Still Believe in the Rapture? What is the rapture-and is there any precedent for it? About "Can We Still Believe in the Rapture? 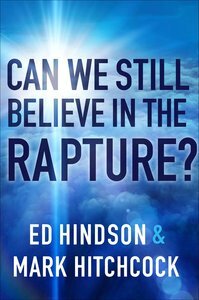 : Can We Still Believe in the Rapture?" Ed Hindson is the Assistant Chancellor and Dean of the Institute of Biblical Studies at Liberty University in Virginia. He also serves as the speaker on The King Is Coming telecast and has authored and served as general editor for numerous books. He holds a D.Min. from Westminster Theological Seminary and a Ph.D. from the University of South Africa.